Three people were hospitalized, including a 7-year-old girl, after being attacked by a PIT BULL on Long Island Wednesday, authorities said. According to Suffolk County Police, a man was dog-sitting the pit bull inside a residence on Bieselin Road in Bellport. The girl was playing with the dog when he began attacking her and bit her in the right arm, resulting in multiple lacerations. The girl's mother was bit in the right hand attempting to get the dog off her daughter, police said. A male resident took a shovel and struck the dog, who bit him as well. 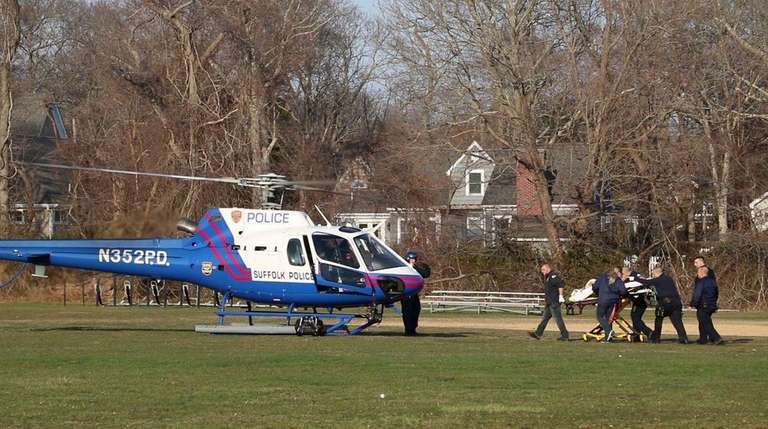 The mother and daughter were transported to Stony Brook University Hospital via Suffolk County Police helicopter. The girl has serious injuries while her mother suffered non-life-threatening injuries. The man was taken to Long Island Medical Center in East Patchogue with non-life-threatening injuries. Emergency Service Section officers put the dog in a cage, and he was taken away by the Town of Brookhaven Dog Warden. Rule #1, Never let your children near pit bulls. Rule #2, NEVER PIT SIT!